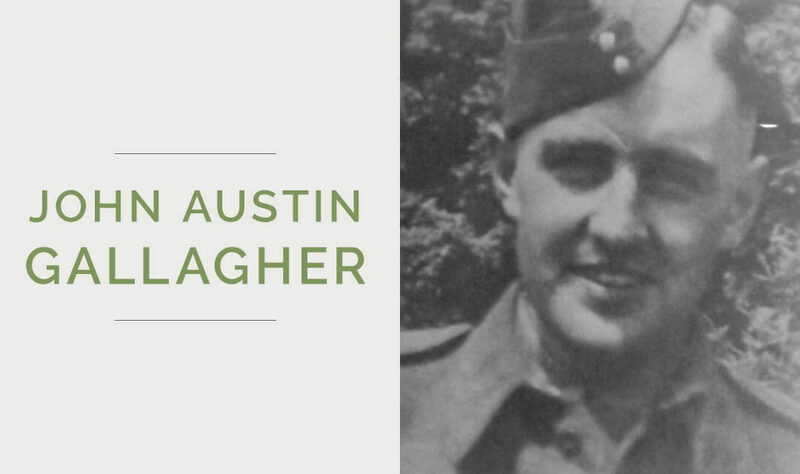 John “Jack” Austin Gallagher was born in Palmerston in 1918. A lifelong resident, Gallagher completed his education in Palmerston, and was shipped overseas in July of 1943. Gallagher was a Craftsman, and was a member of the Royal Canadian Electric and Mechanical Engineers, and his service number was A59482. The Palmerston Observer notes that Gallagher’s letters were “cheerful and full of hope for an early return home”. Unfortunately, Gallagher succumbed to bronchial pneumonia while in Italy, passing away on August 10, 1944. He is buried in the Rome War Cemetery in Rome, Italy, and is remembered with honour. You can view Gallagher’s Commonwealth War Graves page here. “Gallagher’s Receive Sad News of Son’s Death.” The Palmerston Observer [Palmerston] 24 Aug 1944: 1. Print.